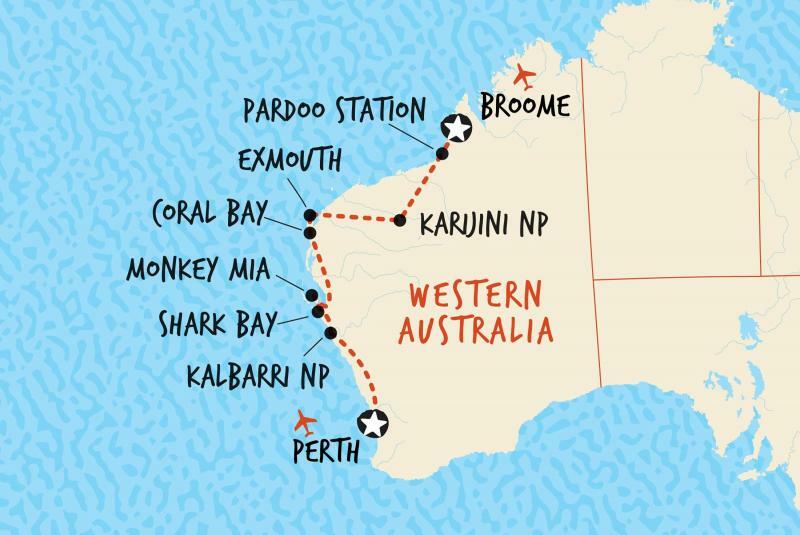 Soak up the experience of traveling from Perth, through Australia’s Coral Coast, Ningaloo Reef, along Warlu Way up to Broome. •Discover one of the most unique and dramatic landscapes in Australia, the Pinnacles Desert. •Swim with Whale Sharks and Giant Manta Rays in Coral Bay. •Visit the most sacred Aboriginal sites for the Yunjibarndi people, ‘Deep Reach’ on the Fortescue River, home of the mythical Warlu Serpent. • A road trip from the most isolated city on the planet, Perth, through to Broome, in the Kimberley region of Western Australia, is an epic driving experience to say the least. In total, the distance is over 2,500 kilometres (1553 miles), which is equal distance between Paris and Istanbul, or a road trip from Montreal in Canada all the way through the United States to Miami. The Pinnacles, Indian Ocean Drive, Nambung National Park , Western Australia Your road trip begins on the Eastern Highway in Redcliffe, less than a 10 minute drive from Perth Airport. Head north along the Indian Ocean Drive, for 200 kilometres (124 miles) to discover one of the most unique and dramatic landscapes in Australia: the Pinnacles Desert. Created from the skeletal remains of ancient marine life millions of years ago, the Pinnacles Desert remained undiscovered until the 1960s. You’ll find some of the world’s oldest living fossils at Lake Thetis, located off Hansen Bay Road. While you’re there, take a leisurely stroll on the nearby 1.3 kilometre (.8 mile) walk trail. You’ll have worked up quite the appetite by now, so if you’re feeling a little peckish check out the delicious local produce at the Lobster Shack when you arrive at Cervantes. Swimming with sea lions, Jurien Bay, Western Australia Begin the next day by travelling 15 kilometres (9 miles) north on the Indian Ocean Drive until you reach the Molah Hill Lookout. Take in the spectacular views over the Indian Ocean and native outback. Another lookout, Grigson’s Lookout, is located just before you pull into Jurien Bay. When you arrive in Jurien Bay, check out Skydive Jurien Bay for the only skydive in Australia which lands on a beach. If this is a bit too much adrenaline for your liking, jump aboard with Turquoise Safaris for a sea lion charter cruise or don your mask and snorkel and explore the underwater wonderland of the Jurien Bay Marine Park. This diverse area is home to tropical fish, sponges, sea squirts, soft corals, sea lions and dolphins. More adventurous land-lovers will enjoy nothing more than exploring the caves of the Stockyard Gully National Park , which is accessible only by 4WD vehicle. After discovering caves and the coast, finish this leg of the trip by continuing north for just over an hour to Dongara. Enjoy a relaxing dinner at Southerly’s Tavern, home of Western Australia’s best steak sandwich. Road trip to Geraldton, Western Australia Named after the aboriginal word “Thung-arra” meaning “Sea Lion place”, Dongara is a great place to spend most of the day. Grab a coffee on Moreton Terrace, which is named after the large Moreton Bay Fig trees which line the main street, and head to the beach for a morning of exploring, swimming and playing in the sand. Take a stroll along the Dongara-Port Denison Heritage Trail, which includes highlights such as the Royal Steam Roller Flour Mill and Russ Cottage. In the afternoon, travel 65 kilometres (40 miles) to Geraldton, and be sure to keep an eye out for leaning trees along the way. Buffeted by prevailing southerly winds, the trees’ horizontal trunks have become something of an icon for the region. Batavia Coast Marina, Geraldton, Southern Coral Coast, Western Australia Geraldton is home to the HMAS Sydney Memorial, located on top of Mount Scott, commemorating the Australian warship’s World War II battle with the German cruiser, Kormoran, off Shark Bay in 1941. Visit the beautiful memorial in the morning before getting back on the road. It’s a 5 hour drive to Carnarvon, so stock up on food and refreshments before you head off. If you’re keen for a little more history, just 60 kilometres (37 miles) off the Western Australian coast you’ll find the Houtman Abrolhos Islands. This is the location where the VOC flagship, Batavia, became shipwrecked in 1629. Known as one of the most epic stories in Australia’s history, the chilling events that followed the shipwreck are articulated in sordid detail by Australian author Peter Fitzsimons in his book Batavia. Once you arrive in Carnarvon, take some time to sample the fresh produce along the Gascoyne Food Trail. An evening stroll along The Fascine (Carnarvon’s central waterway) is a great way to wind down before heading out for a fresh seafood meal. Snorkelling, Ningaloo Reef, Western Australia Head out early the next morning on National Route 1 and drive the 238 kilometers (149 miles) from Carnoarvon to Coral Bay. If you’re road tripping during late March or early July, don’t miss the opportunity to book a diving experience in stunning Coral Bay. You can discover what it’s like to swim with whale sharks, the gentle giants of the sea, or majestic giant manta rays, which are abundant throughout the year. Something else to tick off your bucket list. 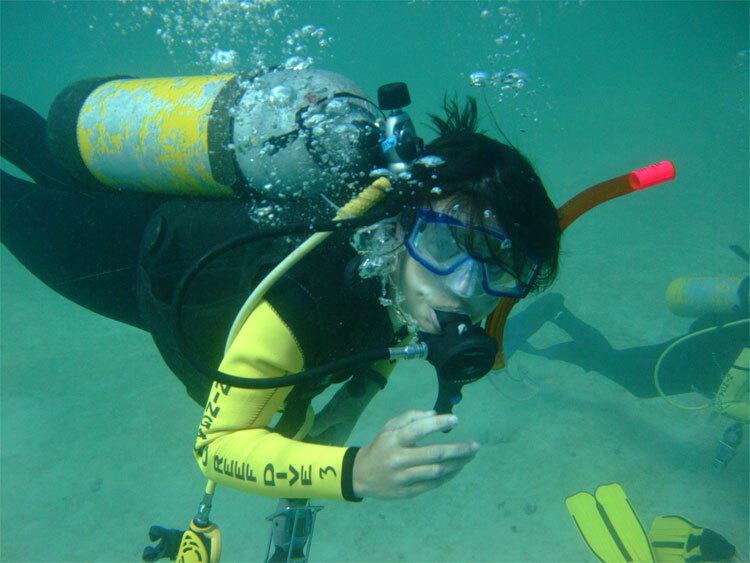 If you love a bit of snorkelling, you’re in for a treat at Coral Bay. You can rent equipment and get tips on finding all the best locations for spotting reef animals. The Ningaloo Reef also hosts glass bottom boat tours, which is a great way to get up close and personal with the abundance of marine life in the region. There’s even a shark nursery just 20 minutes walking distance from the main beach as well as daily snapper feeding at around 3:30pm. Whale shark, Coral Bay, Western Australia | Just 40 kilometres (25 miles) from Exmouth lies the rugged beauty of Cape Range National Park , showing off some of the most remarkable gorges and spectacular canyons Western Australia has on offer. You can also enjoy a relaxing cruise along Yardie Creek or, if you’re up for something a little more adventurous, jump in a 4WD safari tour. A sunset view from the Vlamingh Head Lighthouse is a perfect end to the day (especially if you’re dining on the local fresh prawns). At 547 kilometres (340 miles) west of Coral Bay, it will take you just over 6 hours to get there, but an epic road trip wouldn’t be complete without a visit to Tom Price. Locally coined the “Top Town in Western Australia”, Tom Price is the highest town (above sea level) in WA and hometown of the (Rio Tinto owned) Mount Tom Price iron ore mine. If you think it’s just a coincidence seeing so many young people in and around town, you’re not mistaken. Tom Price is home to Australia’s youngest population, with a median age of just 29. It is also Australia’s most affluent regional town, largely due to Rio Tinto’s employees, who earn well above Australia’s average wage. While you’re in town, and if you can tolerate the blistering temperatures, check out Western Australia’s second highest peak, Mount Nameless. Another tick on the bucket list. Fern Pool, Karijini National Park , Western Australia It’s time to discover one of the most popular local attractions in the region, the award-winning Karijini National Park . Just an hour drive north of Tom Price, this is a magical place of deep gorges, invigorating rock pools and picturesque waterfalls. There’s a myriad of awesome walking trails that lead you deep inside the surrounds of the Dales Gorge. You can also cool off in the emerald-coloured waters of the Fern, Fortescue, Falls and Circular pools - don’t forget your camera for these. Python Pool, Millstream Chichester National Park , Western Australia It’s an additional 508 kilometres (316 miles) from Karijini National Park north to your next destination of Millstream Chichester National Park . Take extra care along the unsealed roads as you travel alongside one of the longest privately owned railways in the world. 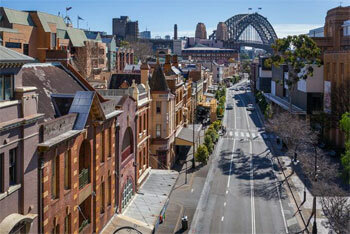 You’ll need a 4WD vehicle to tackle these roads. If you’re lucky, you may even encounter one of the 2.5 kilometre (1.5 mile) long locomotives transporting iron ore to Port Dampier on the coast. There’s tons to see and do here. Start with a tour of the old Homestead in Millstream Chichester National Park , which since has been remodelled into the park’s main Visitor Centre. If you’re keen for a cultural experience, then check out the ‘Deep Reach’ on the Fortescue River. This is one of the most sacred Aboriginal sites for the Yunjibarndi people, and home of the mythical Warlu Serpent. Before you leave, get your camera ready for some awesome photo opportunities of the views from the peak of Mount Herbert. Kooljaman at Cape Leveque, Dampier Peninsula, Western Australia Heading North along the unsealed Karratha-Tom Price Road, you’ll reach the North West Coastal Highway (again, choose a 4WD vehicle to navigate the challenging road conditions). After a short 20 minute drive via Madigan Road, and the Dampier Highway, you’ll arrive in the port town of Dampier. Brace yourself for tropical delights of the breath-taking Dampier Archipelago. This is a place to marvel at nature’s paintbrush. From swimming in the turquoise waters with dolphins and whales, to exploring the 42 tropical islands by boat, you’re guaranteed a memorable experience. You can also discover an array of ancient Aboriginal rock carvings at the Deep Gorge, which is located near Hearson’s Cove, on the Burrup Peninsula. Old Roebourne Jail, Roebourne, Western Australia If you navigate yourself back onto the North West Coastal Highway, and turn East, you’ll arrive at the historic gold rush town of Roebourne (about one hour from Port Dampier). Although mostly a gateway town for tourists on their way to local national parks, it’s still worth the trip to experience some of the old heritage listed buildings and art galleries on Main Street. There are also some great spots to relax and enjoy a good lunch. Taking a trip out to Point Samson Peninsula for a stroll along the beach is a nice way to enjoy the afternoon. There’s also the option of taking a river cruise along the Harding River to check out the lighthouse on Jarman Island. The Simpson Desert, Western Australia Make your way back onto the North West Coastal Highway and drive a further two and a half hours east, over the Yule and Turner Rivers, until you arrive at Port Hedland, the second largest town in the Pilbara region. Here you can take a tour of the BHP Billiton port facilities or take a cultural and heritage trail walk through the historical Museum and Court House Gallery. 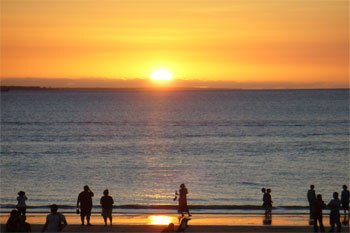 From Port Hedland, drive another three hours along the Eighty Mile Beach coastline. Although named ‘Eighty Mile Beach’ this coastline stretches just over 220 kilometres (140 miles), and is the location where the Simpson Desert meets the Indian Ocean. A beautiful spot to kick back and enjoy the scenic views of the open ocean. Dinosaur Footprint, Gantheaume Point, Broome, Western Australia From Eighty Mile Beach take the North West Coastal Highway 376 kilometres (234 miles) en route to your final destination, the pearling town of Broome. Take a detour to the white sands and turquoise waters of Cable Beach for a swim in the refreshing ocean, and then check out Gantheaume Point to see up-close what 130-million-year-old dinosaur footprints look like. If you’re keen on seeing one alive, then check out Malcolm Douglas Wilderness Wildlife Park home to giant saltwater crocodiles. Broome is home to a myriad of activities and attractions. From the award-winning pearls at the Chinatown showrooms to hovercraft adventures and whale watching tours, you’re spoilt for choice. Don’t miss one of the more popular attractions in Broome such as the Horizontal Falls where tidal movements of the Indian Ocean render a waterfall-like effect on the water’s surface. If you are traveling between the months of May and October, the natural phenomenon known as Staircase to the Moon, is an absolute must-see. This unique phenomenon takes place when the moon rises above the ocean with swells leading toward the distant horizon provide a staircase-like illusion.